A natural goalscorer, certainly, but Martinez would unlikely provide excellent value for money. He’s 29 next year, and would cost around £30m. Spurs have been stung by the Roberto Soldado deal, and a potential Martinez transfer has similarities. The Spaniard doesn’t possess excellent pace, and has badly struggled with the English game as a result. Martinez is not especially strong or quick – just a deadly finisher; and we desperately need somebody to provide movement in the final third. 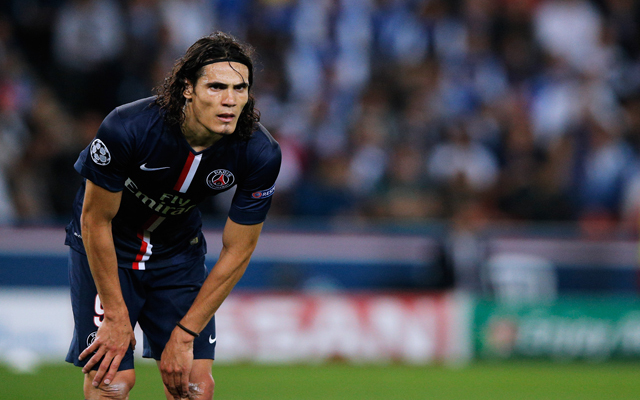 We’ve rated Cavani as low as 5 because we just can’t see it happening. The Mirror has lazily flung his name into their list without really providing any reason for doing so. Is Cavani a world-class striker? Undoubtedly. But he’d cost something close to the money we earned for Luis Suarez, and we don’t think he’s in his Uruguayan counterpart’s league. Plus, he claimed he wants to stay. “They [PSG] spent so much money to bring me from Napoli. I will give my all and do everything that is required of me,” he said.